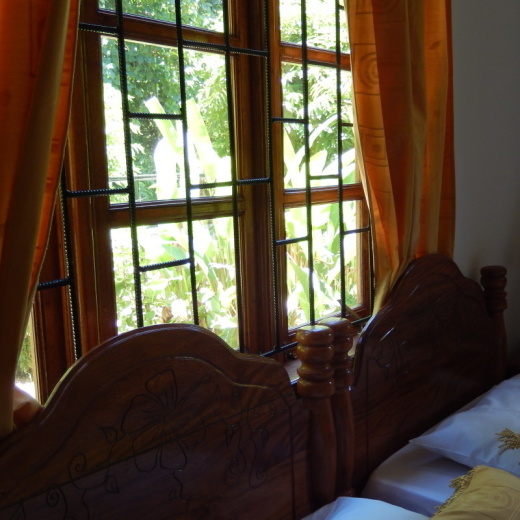 The bedrooms are simple but impeccably clean, fitted with a comfortable bedding, well equipped and decorated tastefully. 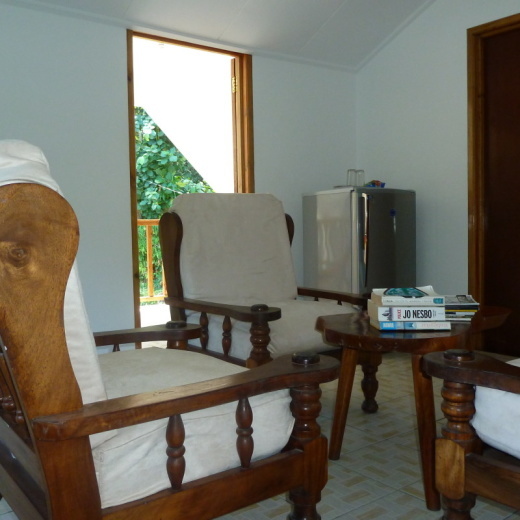 Each bedroom has its own private bathroom, cabinets, mosquito nets, a safe, AC, etc. Communal areas are there for your convenience. The villa has an Internet access at the office to send occasional emails via cable. Heavier downloads can be made at the Internet Café (10 minutes far off on foot) or by means of a 3G card. 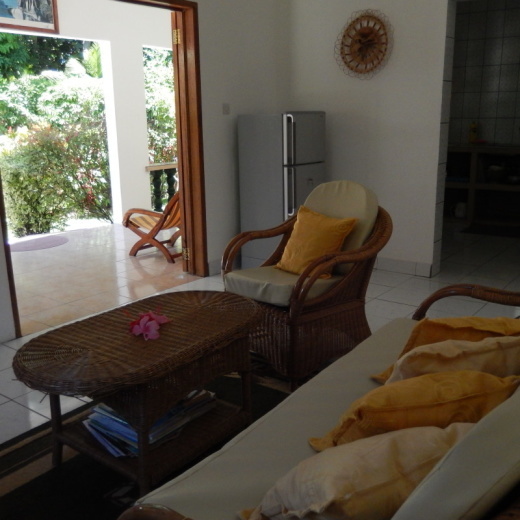 The villa is ideally situated at about 800 metres far from the seaside, at the end of a flat forest path. Nestled under the big trees of the tropical forest, the villa enjoys a remarkably calm and preserved environment and is close to the most important places of La Digue (shops or beautiful beaches). This central position in an authentic Diguois area allows you to reach in 10 minutes by bike (20 minutes on foot) both the Source d’Argent Estate and the Severe beach (located all along the coast). When back from the beach, you will enjoy the quietness of the place and the songs of the rarest birds on the island. The garden offers shower, tables and sun umbrellas. It is carefully landscaped, secure and has a free access for the guests. The house cleaning is done every day, the garden is raked and tended to every morning. The towels are changed every two days, the bed linen twice a week.